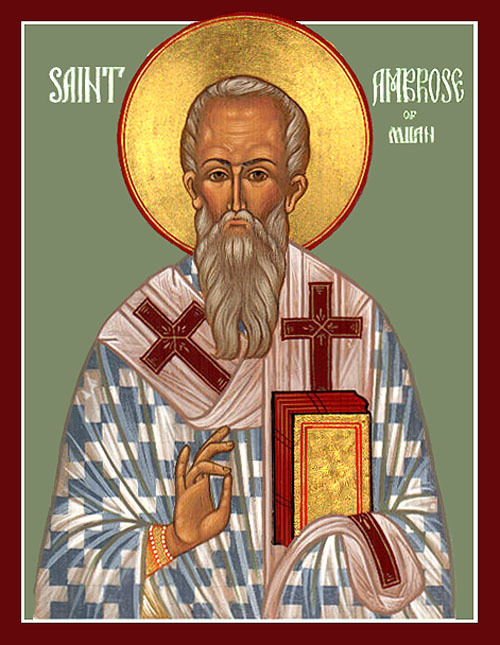 Today is the feast day of Saint Ambrose of Milan, also known as Aurelius Ambrosius (c. 340 – 4 April 397), a bishop of Milan who became one of the most influential ecclesiastical figures of the 4th century. He was the Roman governor of Liguria and Emilia, headquartered in Milan, before being made bishop of Milan by popular acclamation in 374. Ambrose was a staunch opponent of Arianism, a branch of Christianity that had been declared heretical by the First Council of Nicaea in 325, but which was still very popular in much of Christendom, including Milan and Lombardy. I’ll spare you the long theological explanation. It bored me rigid when I studied it as an undergraduate, and things have not improved. It all has to do with the nature of the Trinity: God, the Father; God the Son; and God the Holy Spirit. The Council of Nicaea asserted that the three members of the Trinity are co-eternal, that is, have always existed, whereas Arians believed that only God the Father has existed for all time, and God the Son was begotten by God the Father in time (that is, the Son is not eternal). I am pretty sure that the average Christian of the time had no understanding of the theological arguments that raged among the church fathers, and, furthermore, had no interest in them. But bishops, cardinals, and popes had deeply held views and came to blows often over such matters, sometimes literally. 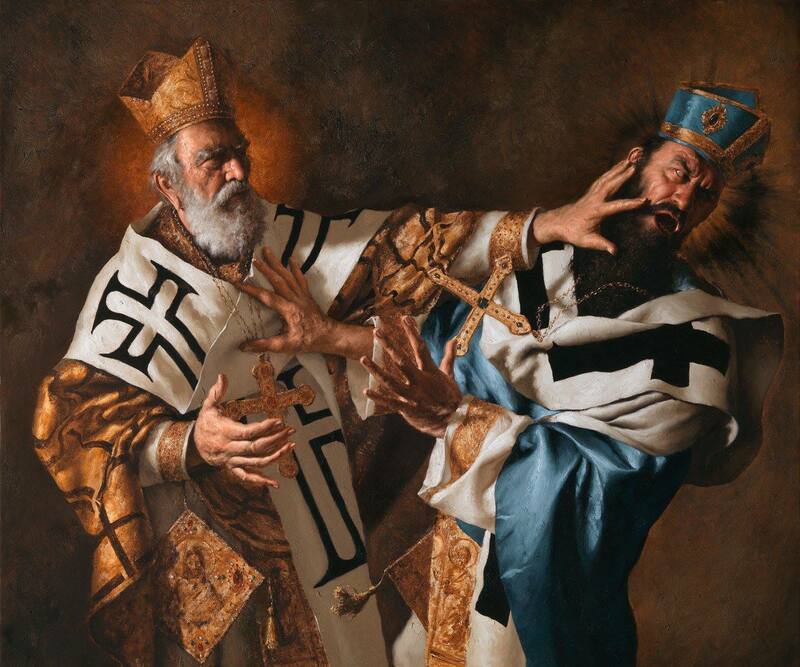 In fact, it is claimed that the original Saint Nicholas (who morphed into Santa Claus), slapped Arius (main supporter of Arianism) on the ear at one point at the Council of Nicaea. Ambrose was born into a Roman Christian family about 340 and was raised in Gallia Belgica, the capital of which was Augusta Treverorum. His father is sometimes identified with Aurelius Ambrosius, a praetorian prefect of Gaul, but some scholars identify his father as an official named Uranius who received an imperial constitution dated 3 February 339. His mother was a woman of intellect and piety and a member of the Roman gens of Aurelii Symmachi. Thus, Ambrose was cousin of the famed orator Q. Aurelius Symmachus. There is a legend that as an infant, a swarm of bees settled on his face while he lay in his cradle, leaving behind a drop of honey. His father considered this a sign of his future eloquence and “honeyed” tongue. 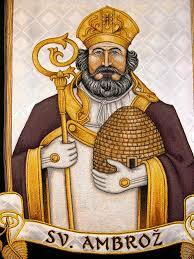 For this reason, bees and beehives often appear in Ambrose’s symbology. After the early death of his father, Ambrose followed his father’s career. He was educated in Rome, studying literature, law, and rhetoric. Praetorian prefect Sextus Claudius Petronius Probus first gave him a place in the council and then in about 372 made him governor of Liguria and Emilia, with headquarters at Milan, which was then (after Rome) the second capital in Italy. In the late 4th century there was a deep conflict in the diocese of Milan between the Nicene Church (followers of the rulings of the Council of Nicaea) and Arians. In 374 the bishop of Milan, Auxentius, an Arian, died, and the Arians created problems over the succession. Ambrose went to the church where the election was to take place, to prevent the expected turmoil and addressed the people. His speech was interrupted by a call, “Ambrose, bishop!” which was taken up by the whole assembly. Ambrose was known to be Nicene Christian in belief, but also acceptable to Arians due to the charity shown in theological matters in this regard. At first, he energetically refused the office, for which he was in no way prepared: he was not even baptized and had no formal training in theology. He fled to a colleague’s home seeking to hide, but his host received a letter from the emperor, Gratian, praising the appointment of Ambrose, so he gave him up. Within a week, Ambrose was baptized, ordained, and duly consecrated bishop of Milan. As bishop, he immediately adopted an ascetic lifestyle, apportioned his money to the poor, donating all of his land, making only provision for his sister Marcellina (who had become a nun), and committed the care of his family to his brother. This raised his popularity even further, giving him considerable political leverage over even the emperor. Ambrose also wrote a treatise called “The Goodness of Death”. 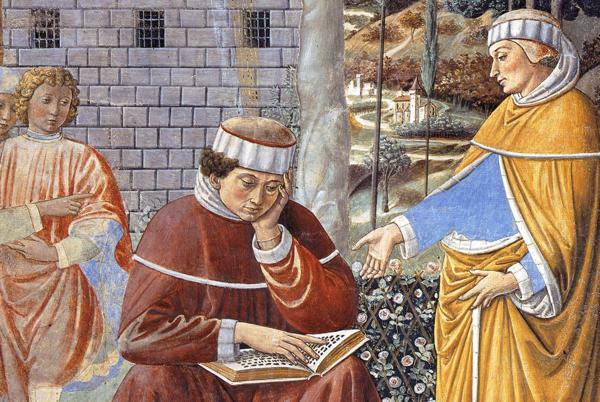 Augustine deemed him to be a happy man as bishop, but celibacy was a burden to him. After consecration as bishop Ambrose studied theology with Simplician, a presbyter of Rome. Using his excellent knowledge of Greek, which was then rare in the West, he studied the Bible in Greek as well as the works of the Greek church fathers, such as, Philo, Origen, Athanasius, and Basil of Caesarea, with whom he also exchanged letters. He applied this knowledge to his preaching which, among other things, led to the conversion of Augustine of Hippo, who, up to that point, had thought poorly of Christian preachers. When [Ambrose] read, his eyes scanned the page and his heart sought out the meaning, but his voice was silent and his tongue was still. Anyone could approach him freely and guests were not commonly announced, so that often, when we came to visit him, we found him reading like this in silence, for he never read aloud. 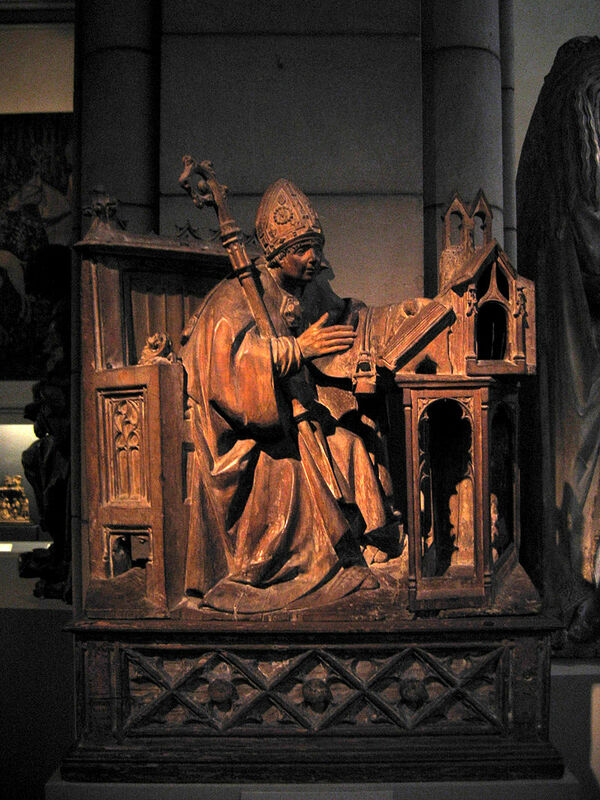 In his early confrontation with the Arians, Ambrose sought to theologically refute their propositions, which were contrary to officially defined orthodoxy. The Arians appealed to many high-level leaders and clergy in both the Western and Eastern empires. Although the Western Emperor Gratian supported orthodoxy, the younger Valentinian II, who became his colleague in the Empire, was Arian. Ambrose did not sway the young prince’s position. In the East, Emperor Theodosius I likewise professed the Nicene creed; but there were many adherents of Arianism throughout his dominions, especially among the higher clergy. In this contested state of religious opinion, two leaders of the Arians, bishops Palladius of Ratiaria and Secundianus of Singidunum, confident of numbers, prevailed upon Gratian to call a general council from all parts of the empire. This request appeared so equitable that he complied without hesitation. However, Ambrose feared the consequences and prevailed upon the emperor to have the matter determined by a council of the Western bishops. Accordingly, a synod composed of 32 bishops was held at Aquileia in the year 381. Ambrose was elected president and Palladius, being called upon to defend his opinions, declined. A vote was then taken, when Palladius and his associate Secundianus were deposed as bishops. Nevertheless, the increasing strength of the Arians proved a formidable task for Ambrose. In 385 or 386 the emperor and his mother Justina, along with a considerable number of clergy and laity, especially the military, professed Arianism. They demanded two churches in Milan, one in the city (the Basilica of the Apostles), the other in the suburbs (St Victor’s), be allocated to the Arians. Ambrose refused and was required to answer for his conduct before the council. He went, and his eloquence in defense of the Church reportedly so overawed the ministers of Valentinian that he was permitted to leave without surrendering the churches to the Arians The next day, when he was performing divine service in the basilica, the prefect of the city came to persuade him to give up at least the Portian basilica in the suburbs. As he still refused, certain deans or officers of the court were sent to take possession of the Portian basilica, by hanging up imperial escutcheons in it, to prepare for the arrival of the emperor and his mother at the ensuing festival of Easter. If you demand my person, I am ready to submit: carry me to prison or to death, I will not resist; but I will never betray the church of Christ. I will not call upon the people to succour me; I will die at the foot of the altar rather than desert it. The tumult of the people I will not encourage: but God alone can appease it. In 386 Justina and Valentinian received the Arian bishop Auxentius the younger, and Ambrose was again ordered to hand over a church in Milan for Arian usage. Ambrose and his congregation barricaded themselves inside the church, and the imperial order was rescinded. The imperial court was displeased with Ambrose’s religious principles and adamant opposition, but the emperor soon needed his help. When Magnus Maximus usurped the supreme power in Gaul, and was meditating a conquest of Italy, Valentinian sent Ambrose to dissuade him from attacking, and he was successful. However, a second, later, embassy failed. Magnus entered Italy and Milan fell. Justina and her son fled, but Ambrose remained in Milan and helped his parishioners in need by melting down the church silver. Theodosius I, emperor of the East, espoused the cause of Justina, and regained the kingdom, but only after great bloodshed. Ambrose excommunicated Theodosius for the massacre of 7,000 people at Thessalonica in 390, in retaliation for the murder of the Roman governor there by rioters. 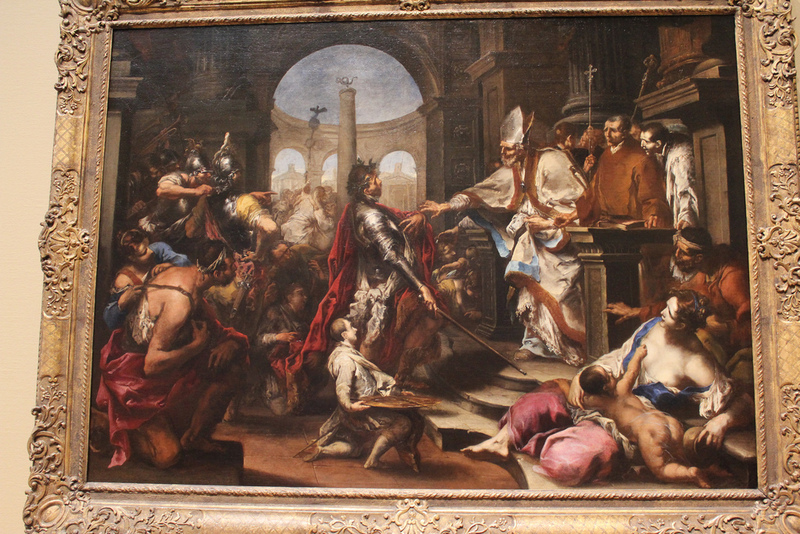 Ambrose told Theodosius to imitate David in his repentance as he had imitated him in guilt — Ambrose readmitted the emperor to the Eucharist only after several months of penance, showing the power that a strong bishop could wield, even over an emperor. 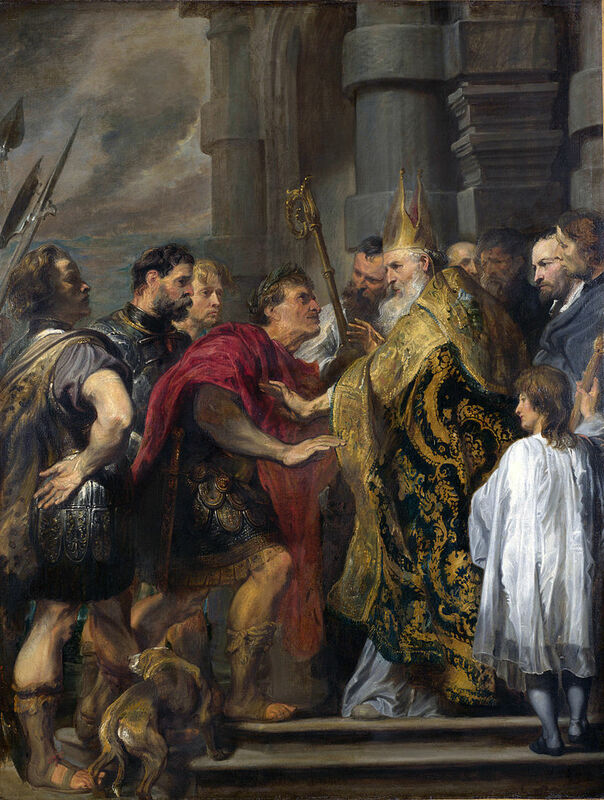 Soon after acquiring the undisputed possession of the Roman empire, Theodosius died at Milan in 395, and two years later (April 4, 397) Ambrose also died. He was succeeded as bishop of Milan by Simplician. Ambrose’s body may still be viewed in the church of Saint Ambrogio in Milan, where it has been continuously venerated — along with the bodies identified in his time as being those of Saints Gervase and Protase (the whereabouts of their remains having been revealed to Ambrose in a dream). Ambrose ranks with Augustine, Jerome, and Gregory the Great, as one of the Latin Doctors of the Church, but I’ll pass over his theology. Read it on your own if you are interested. Instead I’ll say a word about his interest in music. Ambrose is traditionally credited with advancing the repertory of Ambrosian chant, also known simply as “antiphonal chant”, a method of chanting where one side of the choir alternately responds to the other. It is not known if he actually composed any chants, but they are named in his honor due to his contributions to the music of the Church in general. He is credited with introducing hymnody from the Eastern Church into the West, and composed several original hymns as well, four of which still survive, along with music which may not have changed too much from the original melodies. It is said that he composed the hymn “Te Deum” to celebrate his baptism of Augustine of Hippo, his most celebrated convert. Importantly, for this time of year, he is credited with composing the Advent chant Veni Redemptor Gentium (Come, Redeemer of the People). It’s in Latin, but you may be helped by this version which has a translation into Italian — or maybe that won’t help you. In turn, to celebrate Ambrose, I cannot resist a pun (which generally I hate). Ambrose is patron of bees and beekeeping, so we need honey in today’s recipe, and his name suggests “ambrosia,” food of the gods. That means our recipe has to be honey ambrosia, a spread made with honey and butter. Place the sugar, cream, and honey in a sauce pan. Heat on medium-high heat and stir continuously with a wooden spoon until it comes to a boil. Boil for 1 minute. Place the softened butter in a blender or food processor and pour the hot honey mixture over the butter. Blend or pulse on medium speed until the ingredients and smooth and well mixed, adding the vanilla during the process. Pour the mixture into an airtight container, cover, and let cool. Then refrigerate. 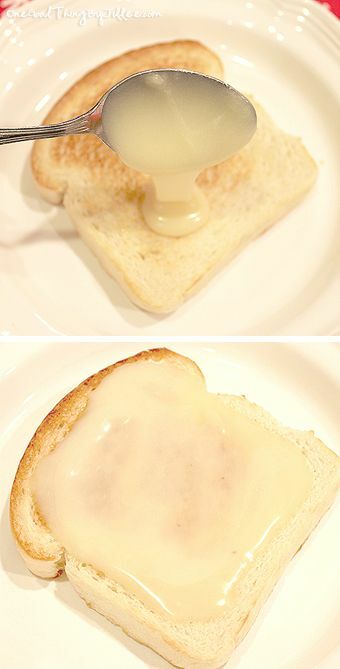 Honey ambrosia can be used as a spread for bread, toast, or biscuits, or it can be used between layers of cakes. Use your imagination. 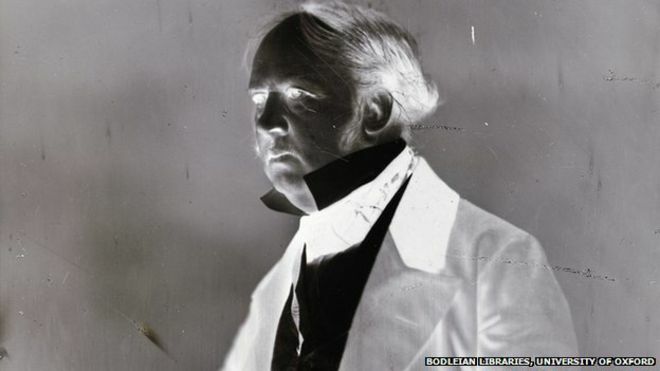 Today is the birthday (1800) of William Henry Fox Talbot who was a British scientist, inventor and photography pioneer who invented the salted paper and calotype processes, precursors to photographic processes of the later 19th and 20th centuries. His work in the 1840s on photomechanical reproduction led to the creation of the photoglyphic engraving process, the precursor to photogravure. 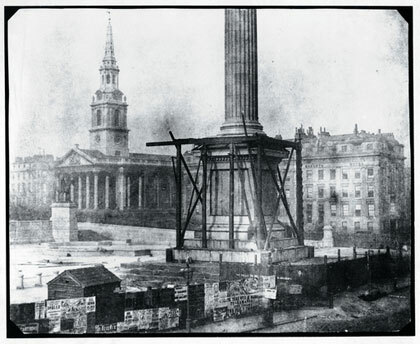 He was the holder of a controversial patent which impacted the early development of commercial photography in Britain. He was also a noted photographer who contributed to the development of photography as an artistic medium. 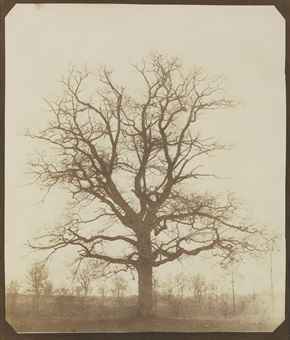 He published The Pencil of Nature (1844–46), which was illustrated with original salted paper prints from his calotype negatives, and made some important early photographs of Oxford, Paris, Reading, and York. The plates of the present work are impressed by the agency of Light alone, without any aid whatever from the artist’s pencil. They are the sun-pictures themselves, and not, as some persons have imagined, engravings in imitation. 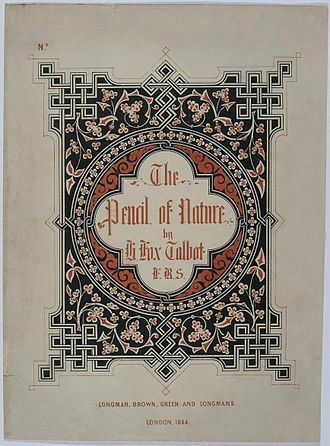 The Pencil of Nature was published and sold one section at a time, without any binding (as with many books of the time, purchasers were expected to have it bound themselves once all the installments had been released). Talbot planned a large number of installments; however, the book was not a commercial success and he was forced to terminate the project after completing only six. Given the laborious method of production and expense, this is hardly surprising. 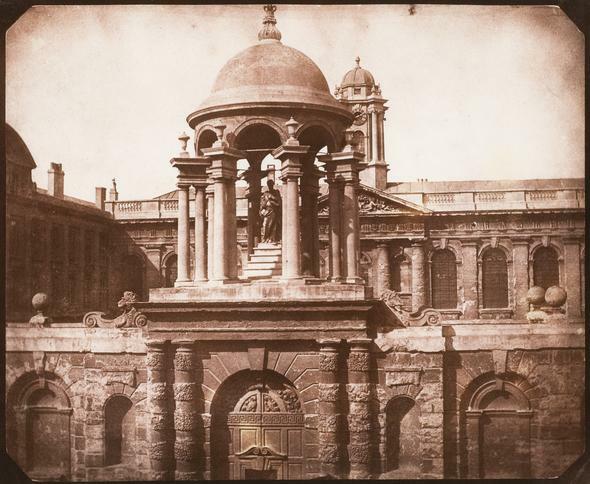 Shortly after Louis Daguerre’s (http://www.bookofdaystales.com/daguerrotype/ ) invention of the daguerreotype was announced in early January 1839, without details, Talbot asserted priority of invention based on experiments he had begun in early 1834. 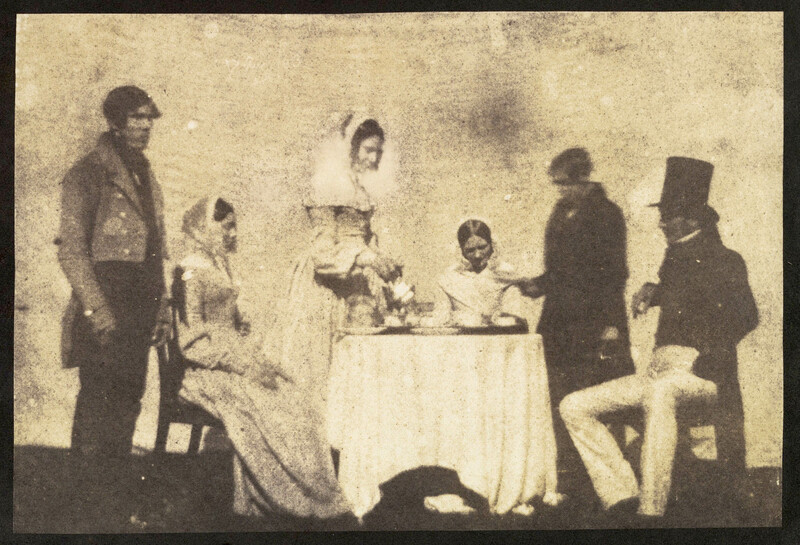 At a meeting of the Royal Institution on 25 January 1839, Talbot exhibited several paper photographs he had made in 1835. Within a fortnight, he communicated the general nature of his process to the Royal Society, followed by more complete details a few weeks later. 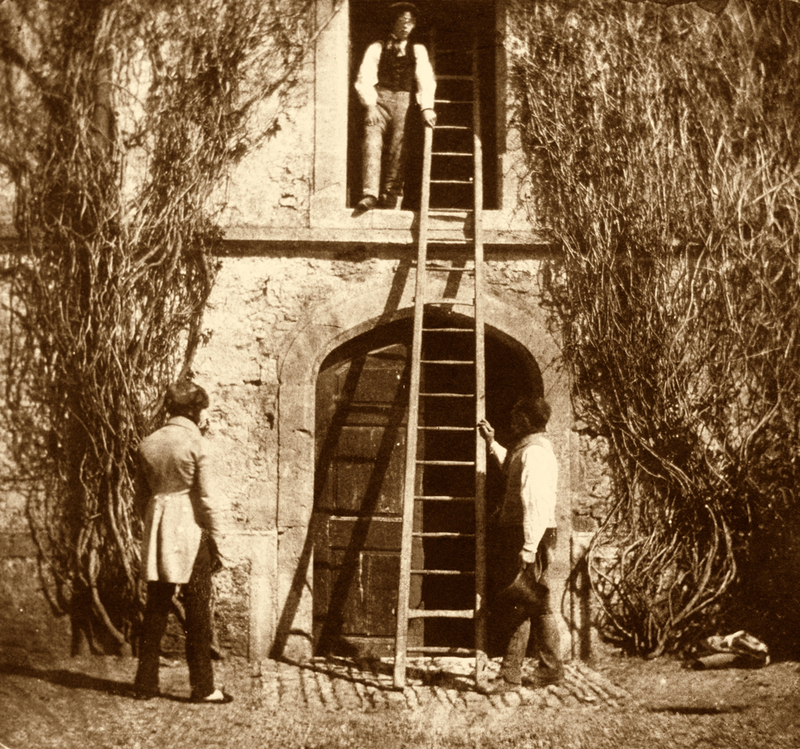 Daguerre did not publicly reveal any useful details until mid-August, although by the spring it had become clear that his process and Talbot’s were very different. 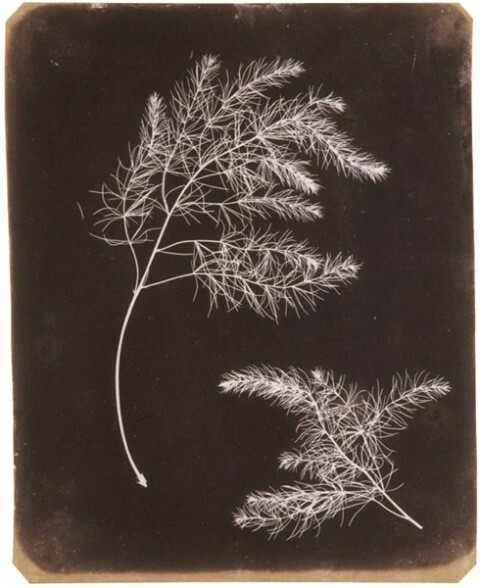 Talbot’s early “salted paper” or “photogenic drawing” process used writing paper bathed in a weak solution of ordinary table salt (sodium chloride), dried, then brushed on one side with a strong solution of silver nitrate, which created a tenacious coating of very light-sensitive silver chloride that darkened where it was exposed to light. 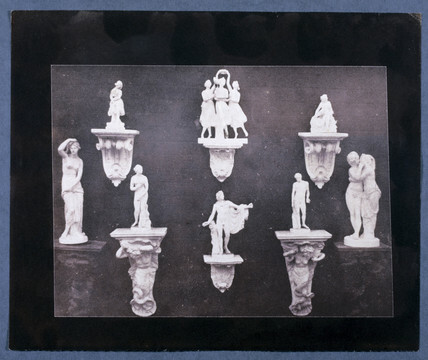 Whether used to create shadow image photograms by placing objects on it and setting it out in the sunlight, or to capture the dim images formed by a lens in a camera, it was a “printing out” process, meaning that the exposure had to continue until the desired degree of darkening had been produced. In the case of camera images, that could require an exposure of an hour or two if something more than a silhouette of objects against a bright sky was wanted. 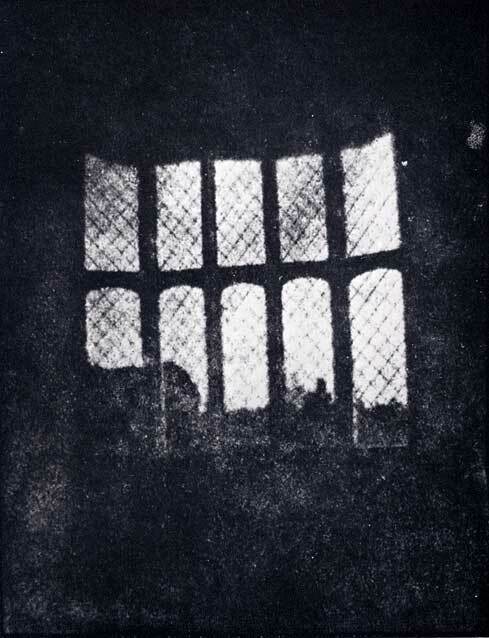 Earlier experimenters such as Thomas Wedgwood and Nicéphore Niépce had captured shadows and camera images with silver salts years before, but they could find no way to prevent their photographs from fatally darkening all over when exposed to daylight. Talbot devised several ways of chemically stabilizing his results, making them sufficiently insensitive to further exposure that direct sunlight could be used to print the negative image produced in the camera on to another sheet of salted paper, creating a positive. 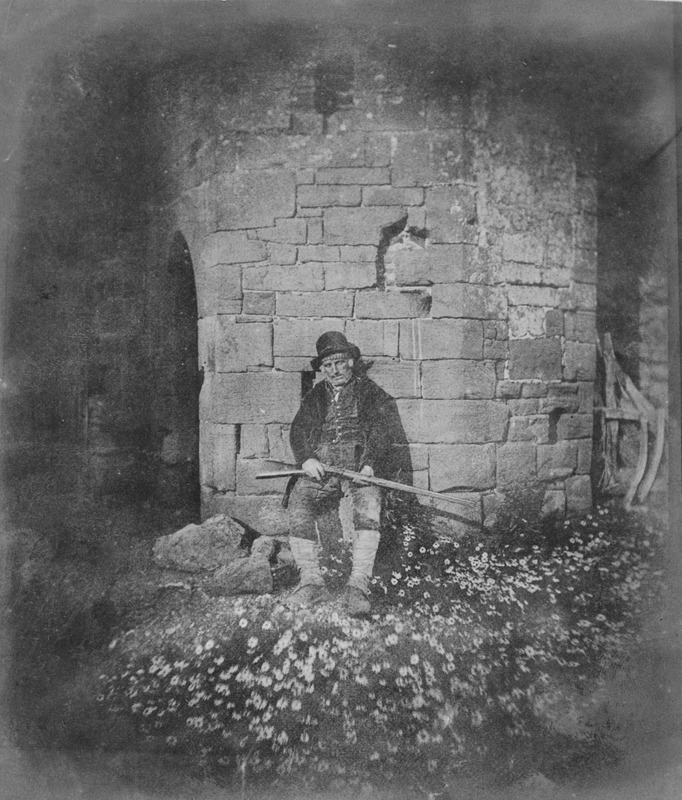 Daguerre’s work on his process had commenced at about the same time as Talbot’s earliest work on his salted paper process. In 1839, Daguerre’s agent applied for English and Scottish patents only a matter of days before France, having granted Daguerre a pension for it, declared his invention “free to the world”. The United Kingdom and the British “Colonies and Plantations abroad” therefore became the only places where a license was legally required to make and sell daguerreotypes. This exception is now usually regarded as both an expression of old national animosities, still smoldering just 24 years after Waterloo, and a reaction to Talbot’s initial aggressive assertion of an extremely broad claim of priority of invention. Talbot never attempted to patent any part of his printed-out silver chloride “photogenic drawing” process. 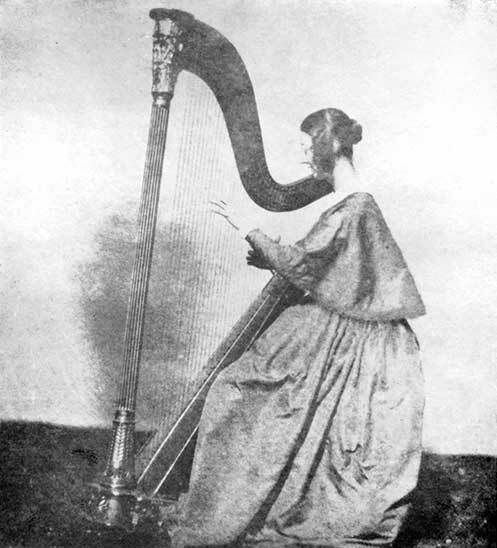 In February 1841, Talbot obtained an English patent for his developed-out calotype process. At first, he sold individual patent licenses for £20 each; later, he lowered the fee for amateur use to £4. Professional photographers, however, had to pay up to £300 annually. In a business climate where many patent holders were attacked for enforcing their rights, and an academic world that viewed the patenting of new discoveries as a crass hindrance to scientific freedom and further progress, Talbot’s behavior was widely criticized. 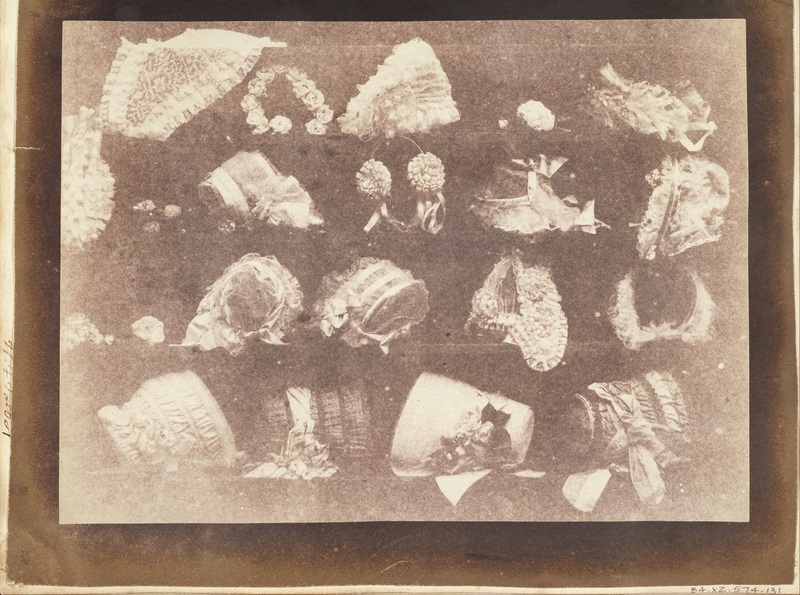 One reason Talbot later gave for vigorously enforcing his rights was that he had spent, according to his own reckoning, about £5,000 on his various photographic endeavors over the years and wanted to at least recoup his expenses. In 1844, Talbot helped set up an establishment in Baker Street, Reading, for mass-producing salted paper prints from his calotype negatives. 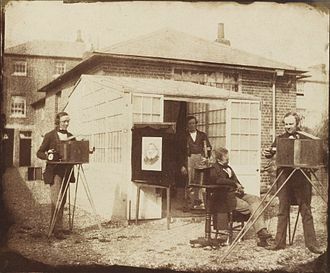 The Reading Establishment, as it was known, also offered services to the public, making prints from others’ negatives, copying artwork and documents, and taking portraits at its studio. The enterprise was not a success. Rather than explore Talbot’s inventions and personal history more I’d like to present a small gallery of his works using various processes. To my eye, many are breathtakingly beautiful, and are also priceless records of his life and times. As well as Harvey’s Reading Sauce, With fish, or flesh, or bird. 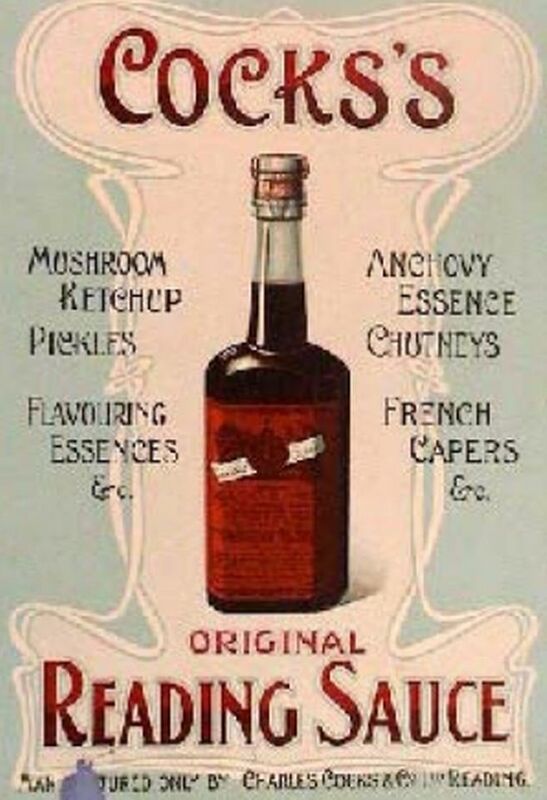 The sauce rivaled Worcestershire sauce in Victorian times but fell out of favor in the early 20th century. However, there have been attempts recently to revive interest – especially in Reading. Here, of course, is Mrs Beeton. INGREDIENTS.—2-1/2 pints of walnut pickle, 1-1/2 oz. of shalots, 1 quart of spring water, 3/4 pint of Indian soy, 1/2 oz. of bruised ginger, 1/2 oz. of long pepper, 1 oz. of mustard-seed, 1 anchovy, 1/2 oz. of cayenne, 1/4 oz. of dried sweet bay-leaves. Mode.—Bruise the shalots in a mortar, and put them in a stone jar with the walnut-liquor; place it before the fire, and let it boil until reduced to 2 pints. Then, into another jar, put all the ingredients except the bay-leaves, taking care that they are well bruised, so that the flavour may be thoroughly extracted; put this also before the fire, and let it boil for 1 hour, or rather more. When the contents of both jars are sufficiently cooked, mix them together, stirring them well as you mix them, and submit them to a slow boiling for 1/2 hour; cover closely, and let them stand 24 hours in a cool place; then open the jar and add the bay-leaves; let it stand a week longer closed down, when strain through a flannel bag, and it will be ready for use. The above quantities will make 1/2 gallon. Seasonable.—This sauce may be made at any time.